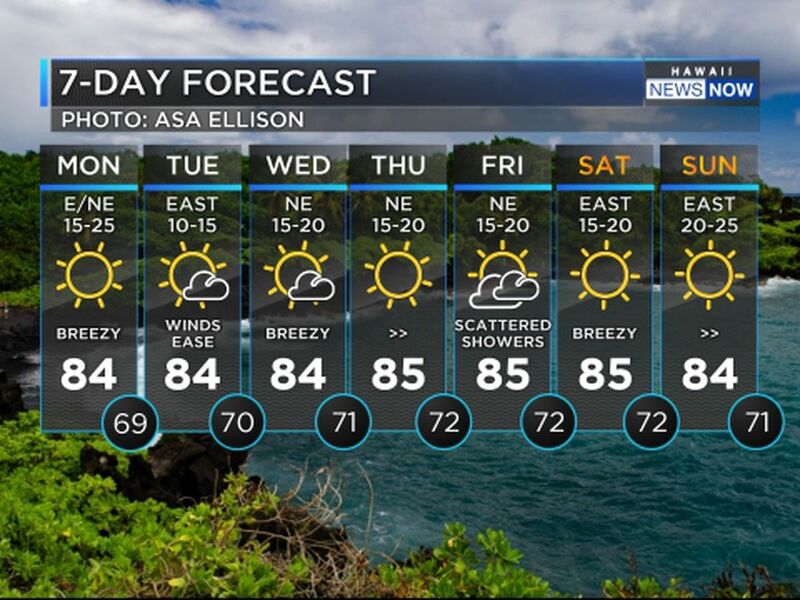 Trade winds are with us for much of the week ahead. They will strengthen to 15-20 mph today and trend stronger by mid-week. High clouds will filter and block much of the sun today and going forward. 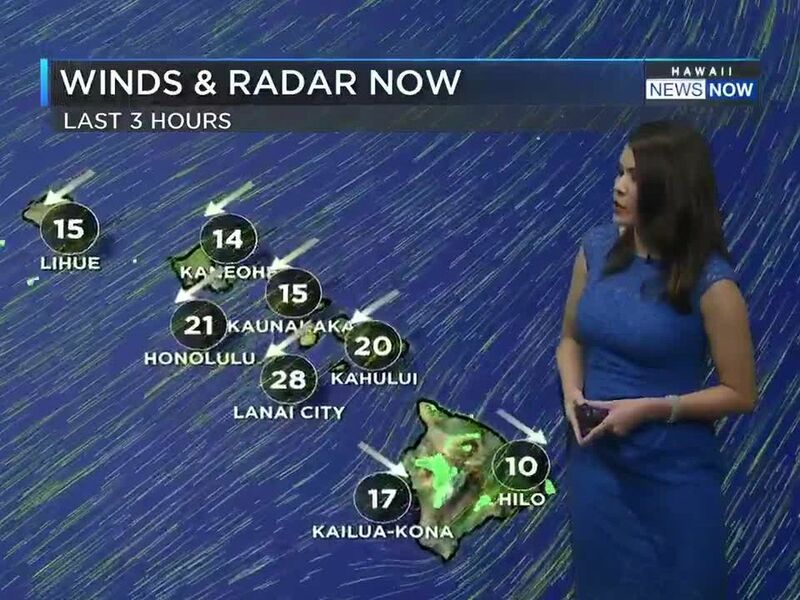 Showers riding in on the trades will fall mainly windward and mauka, with some reaching leeward neighborhoods. 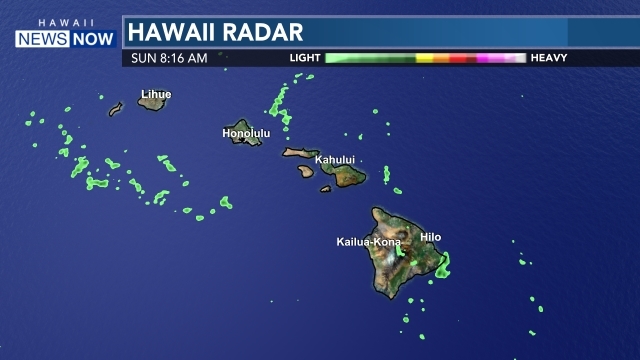 High today in Honolulu will be 79 degrees. 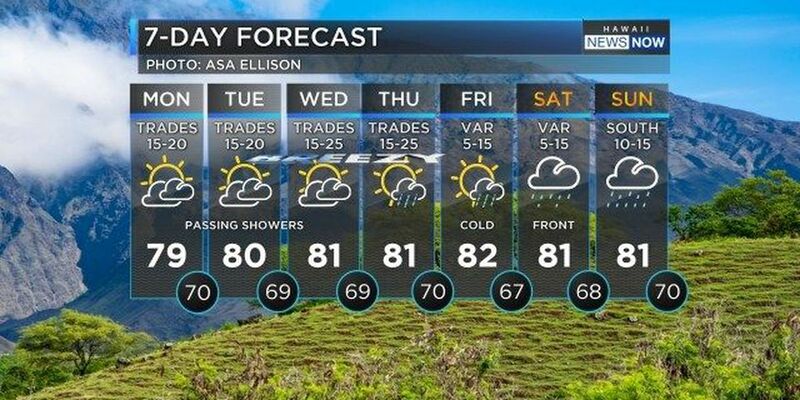 An approaching cold front will shut down the trades late in the week and it could be quite wet. There could be pre-frontal showers by mid-week and then the front itself could move across the state with heavy showers over the weekend. Computer models are not in agreement, so stay with us for updates on the evolving forecast. Surf is moderate all around, but a new and large northeast swell could push waves into the warning category by Wednesday. Waves today will be 4-6 feet north and east, 1-3 feet west and south. Small Craft Advisory for most Hawaii waters. If you have a boat charter today, check with your captain.